There is a plethora of things to see and do in Paris and it is truly a hard task to narrow down the list of things to do during your Paris vacation in March. However, we are here with our list of 10 original things to do in Paris this March. This is truly an original and common thing that all of us indulge into. Any Paris holiday will seem incomplete without taking a picture in front of Eiffel tower. However, month doesn’t matter here but March is a period the year when you will find less crowds in Paris. It is not the peak season for tourism and by taking the chance of this opportunity you can enjoy your time to the fullest. It is very easy to head to the Eiffel Tower from our holiday rental apartment, it is just a little walk, you will be at the sight in a matter of minutes. It is one of the historic chapels of Paris. Back in the past until fourteenth century, this chapel was the residence to the king of France and now it is the part of Palais De La Cité. However, this chapel is not only well known for this reason but there is something else too. Tourist gravitate towards Saint Chappelle because of the 13th century stained-glass collection. It is one of the biggest stained-glass collection of the world. You can spend some time during your march Paris holiday in this mind-blowing ancient beauty. This museum rose like the phoenix in the year 2014. 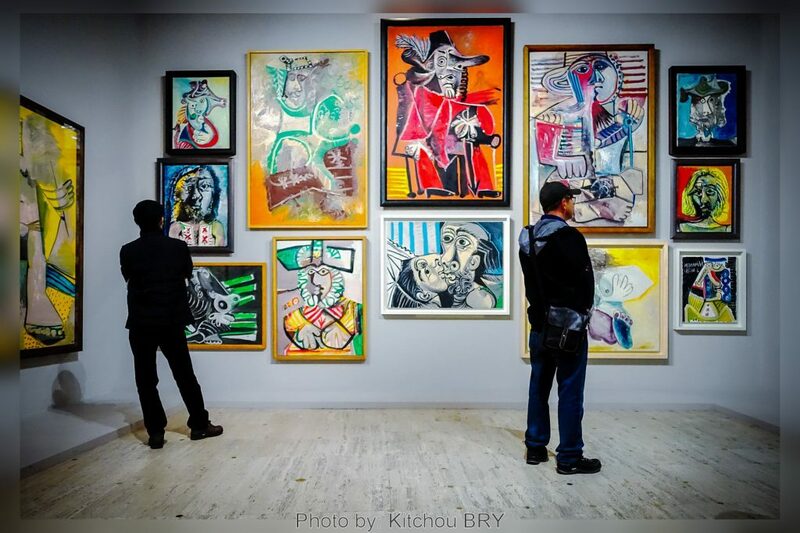 The famous Paris Picasso Museum went through a massive renovation of five years and then emerged with a larger collection of works on display, this led to attracting more visitor from all over the world. It is the home to the world’s largest collection of Picasso’s oeuvres. This artifact now covers 54,000 square feet. You cannot ignore visiting this most fascinating place in Paris. So, for your March Paris vacations spend some time in this museum and enjoy, experience and learn about Picasso’s brilliant works. If you are someone who loves attending exhibitions, then March is the perfect time to visit Paris. Places like the Grand Palais, Musee d’Orsay, la Villette and many other famous galleries and museums have exhibitions during the month of May. There will be an exhibition on the 23rd of March this year where La Villette will host an exhibition about the Egyptian pharaoh Tutankhamun. But this is not end at the month, as these exhibitions last much longer and you can enjoy many of them throughout the year. The Notre Dame gardens are one of the most liked sightseeing locations in Paris, but try something different and original during your March Paris holiday. Behind the Notre Dame gardens is the Saint Louis Bridge that leads to the nice little boutiques of the Ile Saint Louis. This is not a huge shopping mall with shops which you find all over the planet, but a road side walk ways where the shoppers have still managed to settle down with some small shops and keep them going. The 17th century building even make the place more beautiful. It is during the season of spring that you will find ice cream stalls settling on the corners of the streets. Spring is the perfect time to relish the true essence of nature. Take a trip to the 17th century elegant palaces that will offer you a tranquil state of mind. These palaces are the best kept secrets on the capital city. These palaces which were once a restricted area is now open to everyone. There are even restaurants outside the palaces where you can enjoy lunch and teatime. So, on your next holiday to Paris don’t forget to spend some time exploring the beauty of these ancient Paris palaces. Paris is not only about sightseeing or exploring the known lands rather than that you can indulge yourself to explore the less known site of Paris this March. One of the activities that you can do is in the Basin De La Villette, it’s a lake and you will surely have a wonderful experience. You can rent an electric boat and relish the serene moment. This is an inexpensive journey, so you won’t have to empty your pockets for some great time during your Paris holiday. If you like walking the easiest, and probably rewarding thing on your Paris-to-do list will be the walk to the Eiffel Tower from our Paris holiday apartment. But, why don’t you try something completely different this March? Yes, head towards the abandoned railways. It is an incredible spot but mostly it is the one that gets ignored. These abandoned railways, that now become an oasis of nature in a very busy city, were once a buzzing point of Paris. However, these railways were shut down between 1930s and 1990s due to the competition they were facing from the Paris metro (underground). Moreover, if you are someone who loves urban exploration then enjoy the unusual walk along the tracks and discover the city from a unique point of view during your Paris holiday. You surely might have the Louvre and the Orsay Museums on your list of things to do. But during your March stay in Paris try something that is new. Visit one of the less known Parisian museums. These museums have vast collections on various surprising subjects that will make you amazed, and which you will not forget quickly. These kinds of museums will also be a great conversation topic for when you be back home from your Paris vacation. Never the less, the most interesting artifacts are the medical instruments and realistic wax figures. One of the well-known and very popular for children as well is the Parisian Grevin Museum. This museum is easy to reach by public transportation from our Paris holiday rental apartment. The trip will take about 10 minutes by underground (Métro). If you are a book worm, then March is the perfect month for you to visit Paris. Yearly book fairs take place in the capital city every mid of march. 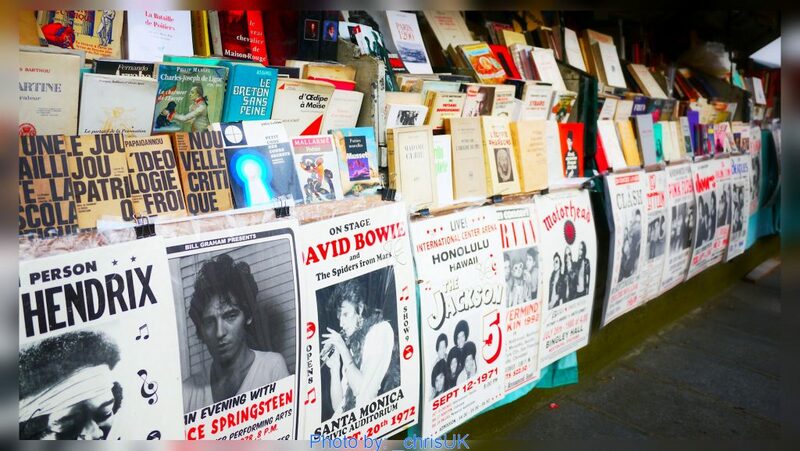 You can find a variety of books in this fair, so on your trip to Paris this march, try attending few fairs. Also along the Seine river, at the center of the city there are a large number of street book vendors, who are selling mainly old books, documents, and posters. If you have the Notre Dame cathedral on your agenda, then just walk along the river and you can easily spot them with them “shops” mounted on top of wall next to the river. These were our 10 tips for the month of March 2019. We hope you enjoy our city.